Heavy timber trusses are absolutely meant to be seen, and in many cases, they are also holding up the roof! Before we ask you which one is your favorite, let’s explore a few options to find out which structural timber truss design would be best suited for your project. Ready? In a scissor truss design, heavy timber or otherwise, the bottom chord members crisscross each other. 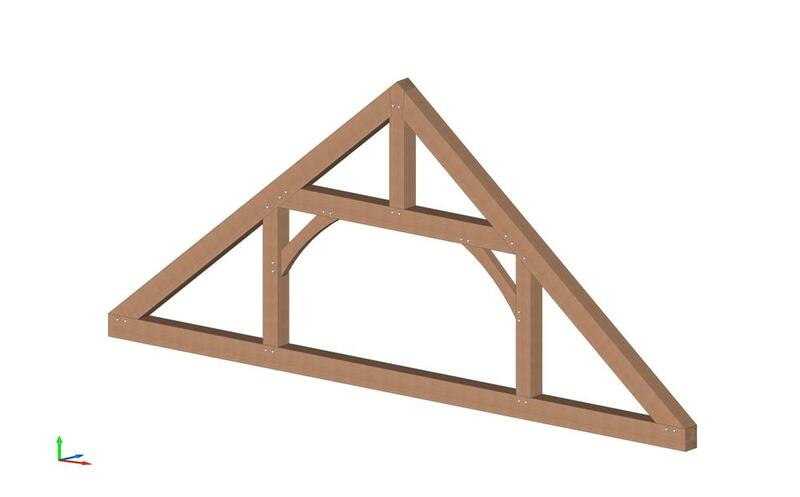 The example shown above has a king post also, which many scissor trusses will need for support. This design is a winner for great rooms and entry ways as long as the span isn’t too wide and the roof pitch isn’t too shallow. How do you know what is too much? Ask the engineer. She will advise you. On to the King and Queen Post truss designs, which, without much fuss, are the strongest heavy timber trusses. 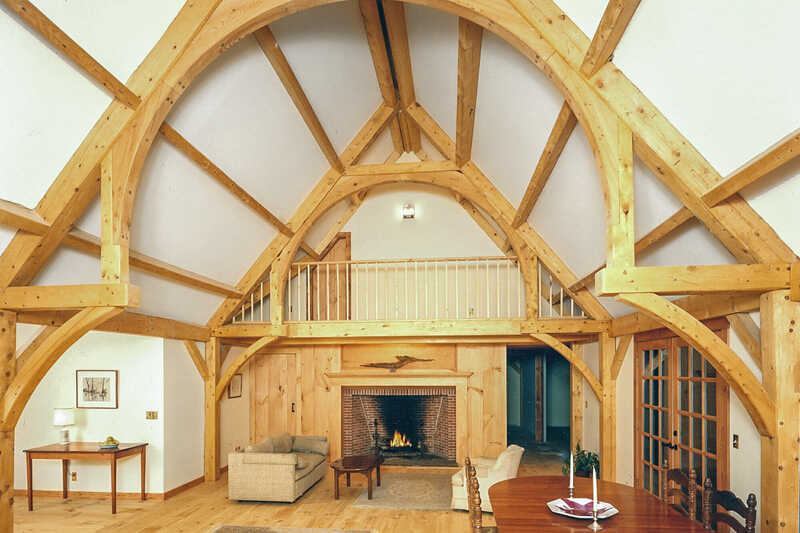 The king post truss is a wonderful choice for exterior dormers, gables, entryways and again, the great room.The King Post can support spans of 40ft and beyond even in Vermont. If you need to add literal and/or visual height to a space, the modified king post may be what you like, BUT as the bottom chord is raised higher, the weaker the truss becomes (something to keep in mind). What about the gable? 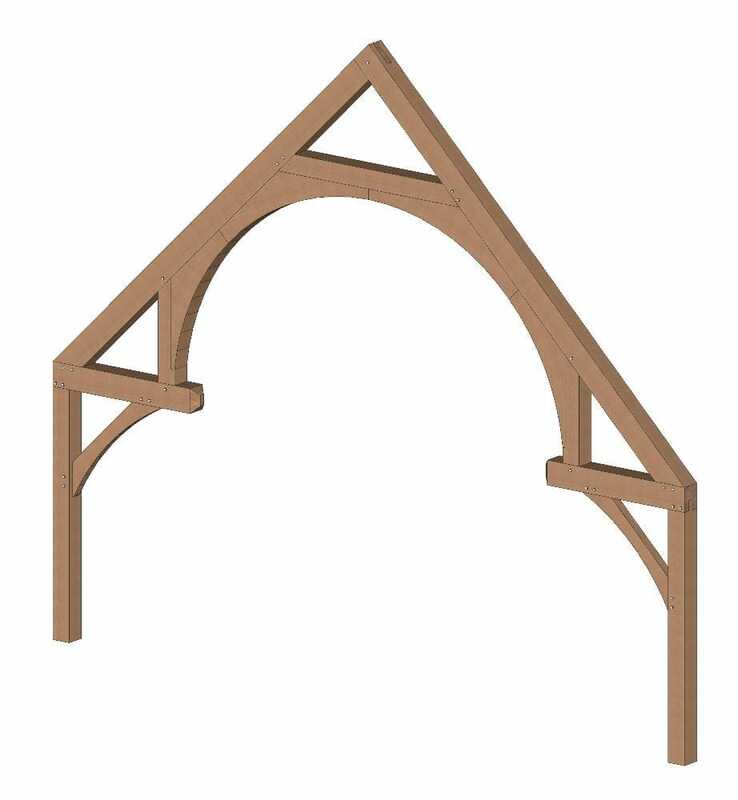 Would you like a truss on the gable? The queen post truss is the best design for gables if there is a window. 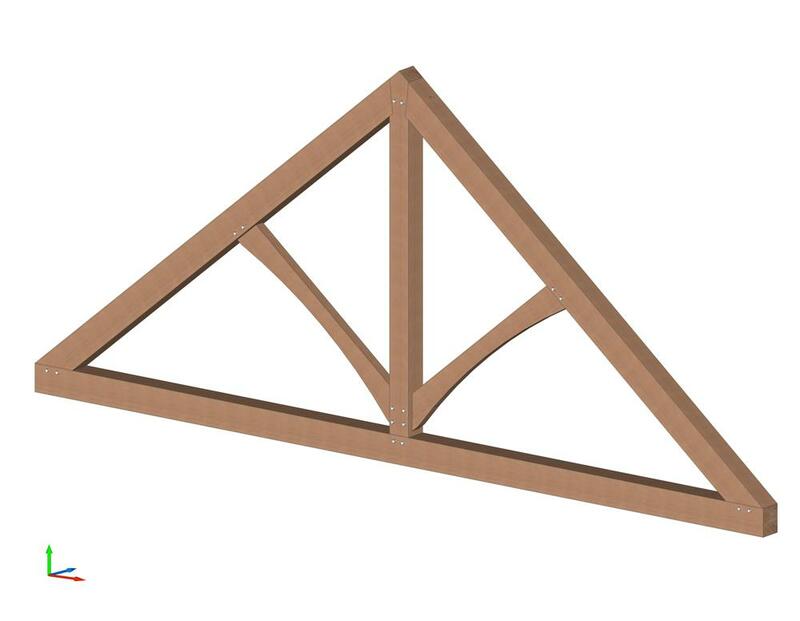 If you’re not sure if you want a gable truss, you can alway ask the engineer if it’s needed for strength and that may help you decide. See how the queen post above leaves space for a window? Girder Trusses are usually incorporated into a design for added strength. Isn’t this truss design pretty? Everyone loves the traditional hammer beam shown above. What everyone doesn’t have, however, is the buttress situation for this project (again, shown above). Most projects that incorporate a hammer beam or modified hammer design as the structural element need tie rods. Which timber truss design is your favorite? Share your thoughts in the comment section below! And, as always, thanks for stopping by our timber framers blog! If you like this post, or have any timber work questions, we invite you to get in contact, or ask an expert. I remember “flying buttresses” from art classes, but these buttresses seem so much more accessible. Thank you for explaining in a simple way. You are very welcome Carol, thanks so much for stopping by our blog post, we appreciate you! What beautiful and easy-to-understand illustrations. I love the Queen! Thank you Bridget, we appreciate you stopping by – and we agree – the Queen rocks! Could one potentially use all modified King post design (to achieve height) yet at gable end, use a Queen post truss in order to achieve window in a gable? How easy is it to incorporate skylights into a truss roof system? 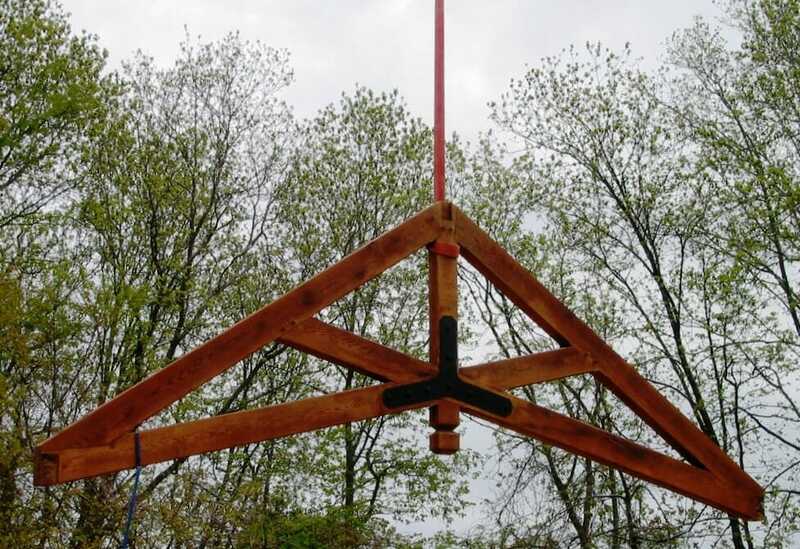 Hi Deb, potentially yes on the modified king post – the engineering will decide, determine the size of the timbers needed and the spacing required for each truss. The queen post on the gable is a great idea, we see that quite often and for the reason you mentioned. 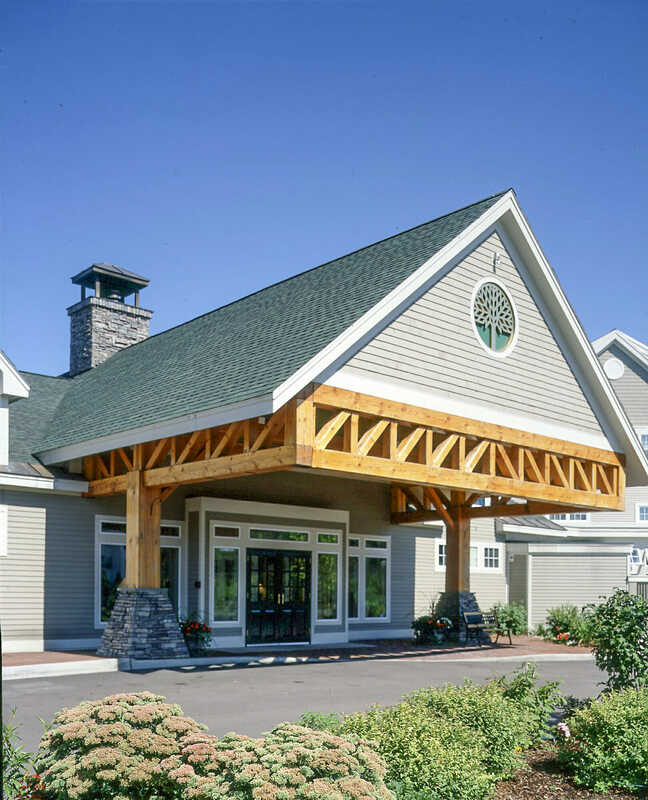 Please give the office a call to talk about your project 802-886-1917. Thanks for stopping by our blog! With a 20′ wide structure, 12′ to thebottom modified hammer beam and 8/12 roof pitch can the building be designed to not need tie rods? Tie rods take away from the esthetics of the hammer beam in my opinion. Hello Brian, thank you for stopping by and with a great question! Sometimes the design can be engineered to accomplish what you are asking, however, engineering would have a few more questions for you (to be sure of feasibility). Where is your project located? I like the scissor truss shown w/ king post. My deck is 8′ out from house and 21′ wide. 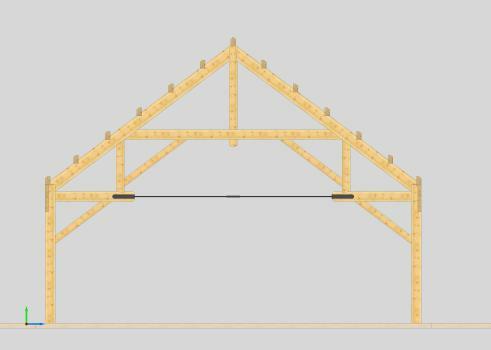 I want to use 1 truss w/ purlins back to house. Can I buy the 1 truss. If so how much$ if I pick up? Hello Chuck and thank you for stopping by our blog. Please give the office a call to discuss your truss project, we’ll need more specifics to give you a quote. 802-886-1917 ask for Sue or Derek. Thanks again! I like the scissor truss design. It is described nicely and easy to understand. How much for a hammer beam truss that’s for a 12×12 roof I need two maybe three what’s the spacing for your trusses?